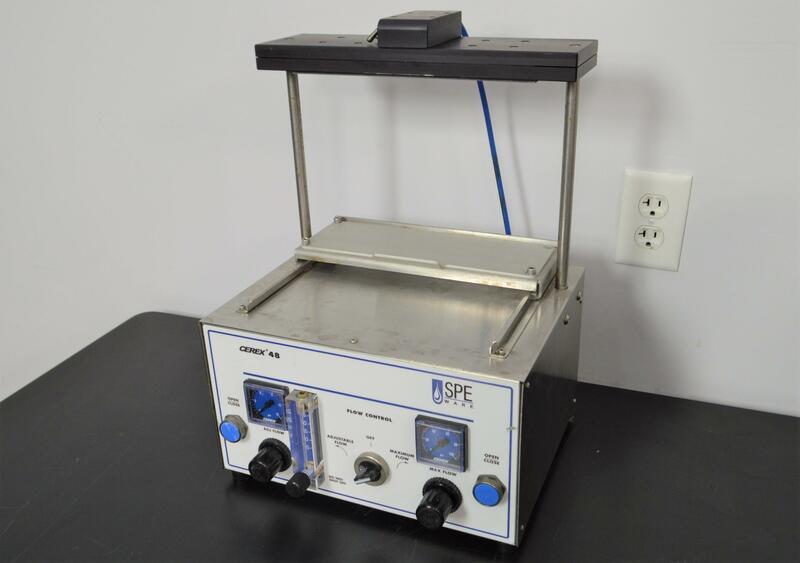 SpeWare Cerex 48 Sample Concentrator Positive Pressure Manifold . New Life Scientific, Inc. PLEASE NOTE: The included photos are of a single instrument. Each pressure processor is in good condition, but the instrument you receive may have cosmetic wear not pictured here. Our in-house technician inspected and tested this Speware Cerex System 48 Pressure Processor, confirming it to be functional. Technician applied air power and noted all buttons and air regulators function well, and table moves smoothly.